When someone is in need, you can count on the cowboy community to show up in support. Such is the case at the Big Sky Ranch Rodeo Benefit and Scholarship Fund Roping that was held in Miles City, Montana on January 19th! The roping was already full with pre-entries weeks in advance. Spectators joined the fun and they all support a great cause! Right before Christmas in 2017 a friend’s house burned down. Toby Abel, along with his wife Jennifer, their friends Chad and Erin Fink, Vicki Fink, Jay and Nicole Blankenship, Don Evans, and Toby’s dad Dave Abel, came together to put on a benefit roping. 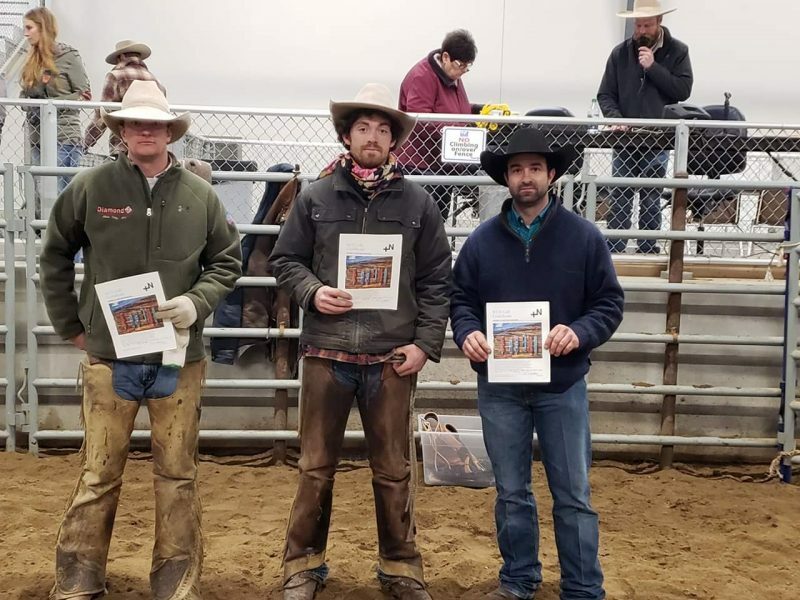 They are the Big Sky Ranch Rodeo Finals producers, so they knew they could put on an event to help their friend and neighbor. “The event was a great success and the outpouring of support was humbling. The people who showed up and donated money to rope are the ones who deserve the credit. Also the cattle were donated by our neighbors, Deseret Cattle Co” Toby Abel stated to me while telling me about the event. Deseret Cattle Co said they will continue to donate the cattle for as long as BSRF producers want to put it on. It was such a success that everyone wanted them to put it on again. Even though they didn’t have a recipient yet for this year’s event, the event was booked and FULL! So next time there is a neighbor in need, there are funds readily available to help them. Some of the money raised will also go towards a scholarship fund. Last year’s recipient, Gillian Severe, applied for and received a scholarship to attend the Sheridan School of Saddlery. 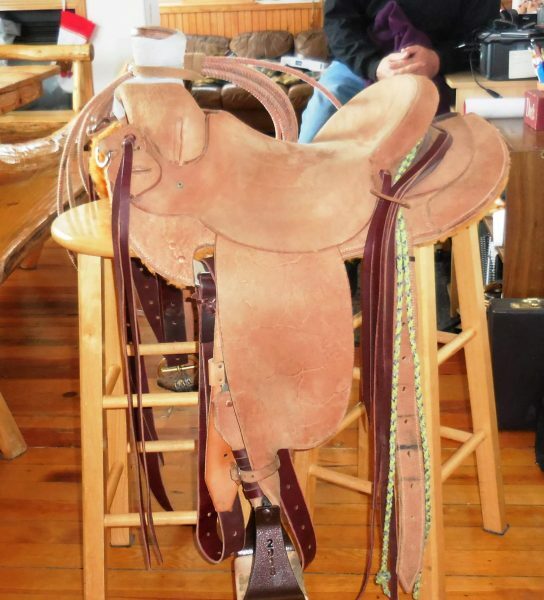 A saddle Gillian Severe made while at Sheridan School of Saddlery. To find our more please check out their Facebook page. 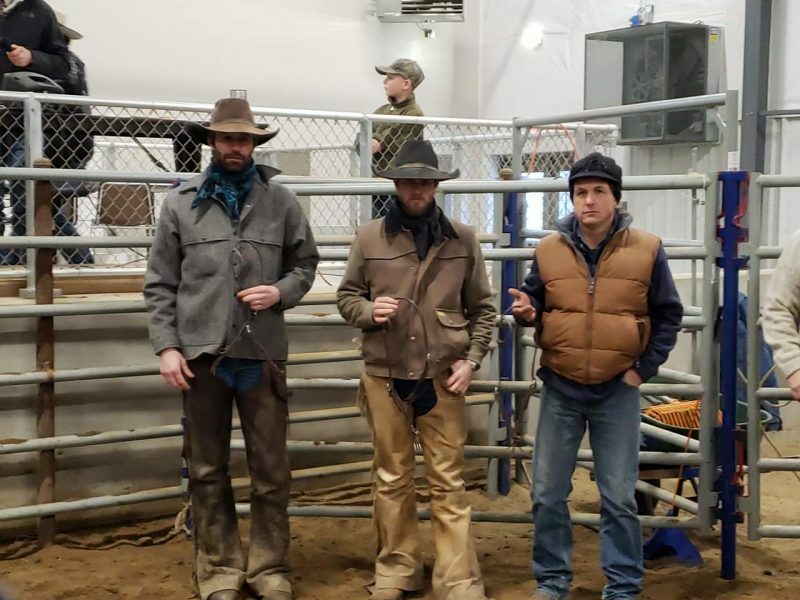 Our top team with a time of 1:14, receiving custom made mohair cinches made and donated by Cross N Custom Cinches, Tia Watson was Clint Boucher, Alec Haughian and Spike Buffington. Posting a time of 1:25 and receiving hobbles made and donated by Godsey Saddlery, Ty Godsey was Alec Haughian, Spike Buffington and Jack McNamee. 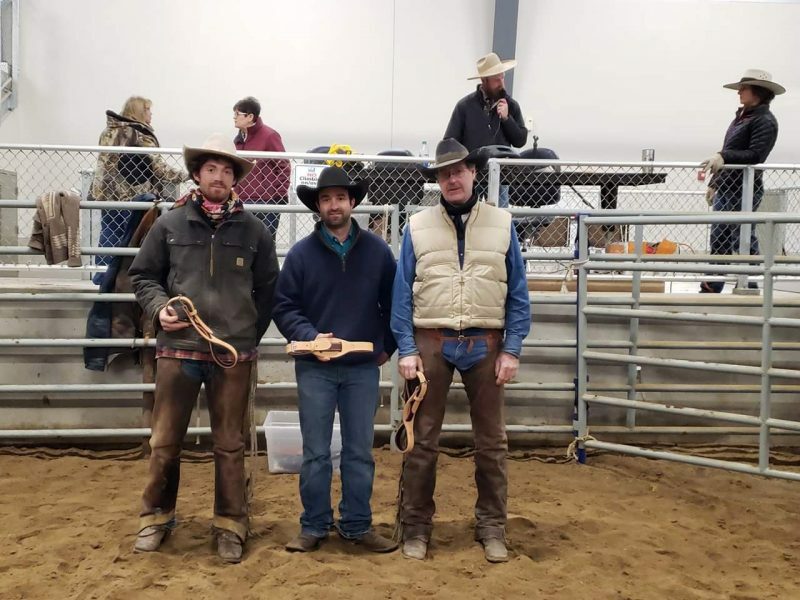 John Henry Beardsley, Pat O’Neill and Zane Dempewolf recorded a time of 1:41, for which they received spurs straps made and donated by Lucas Line. 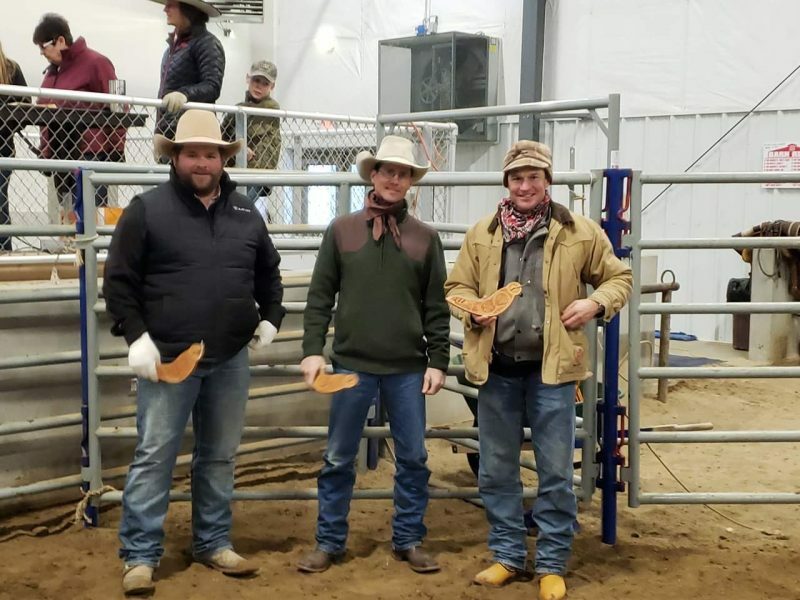 Kurt Leininger, Jared Lei and Russ Burrows stopped the clock at 1:46 and took home headstalls made and donated by Spurr’s Custom Saddles and Tack, Spurr Watson. The youngsters really put on a show in the kids division. It was great to watch them be involved and compete, just like their folks did. 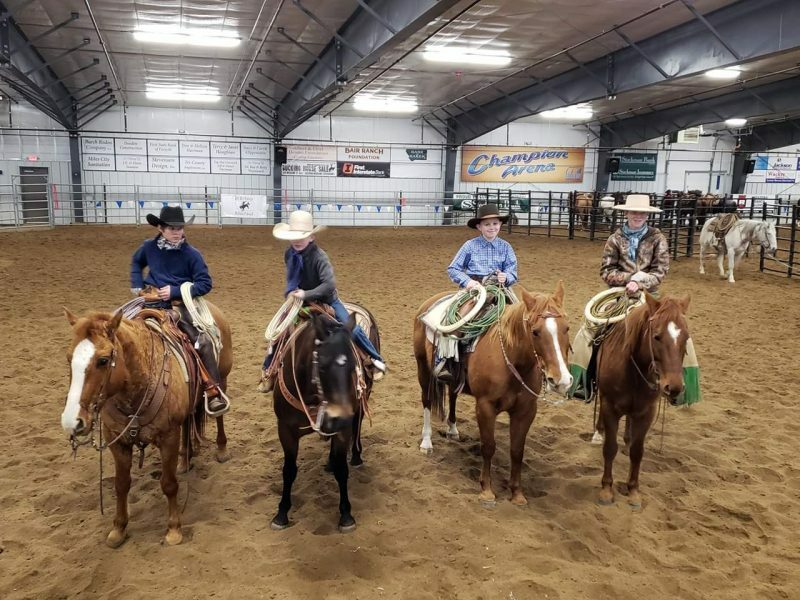 Ty Brenna, Rowdy Mott, Luke Dixen and Todd Dixen each received ropes donated by Buckaroo Business and Cowboy Relief. Being an event producer myself and knowing first hand how much goes into putting on an event, I really appreciate the good people like Toby Abel in this cowboy community who take the time, effort, and energy to put on a benefit event. Thank you BSRRF for being proactive and a supporter of your fellow man.